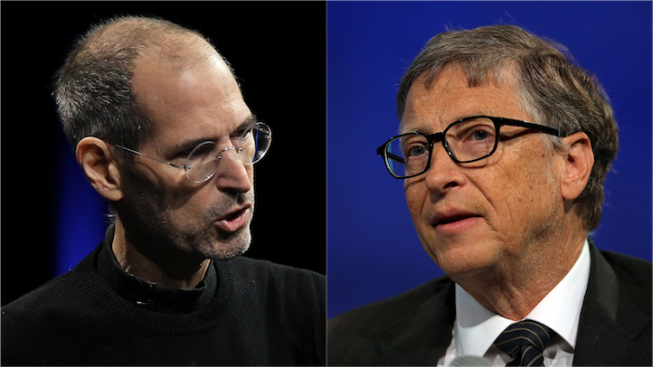 You won't see Steve Jobs and Bill Gates depicted on Broadway this season after all. “Nerds,” the new musical satire about the nerds-to-riches journey of tech trailblazers Microsoft’s Bill Gates and Apple’s Steve Jobs, will postpone its upcoming Broadway run, producers announced Tuesday, citing the loss of a major investor. Performances were expected to begin on April 1 at the Longacre Theatre, with an official opening set for April 21. Producers have said they are planning a national tour of the show. “Nerds” was in the middle of rehearsals, with a cast that included Tony nominee Rory O’Malley (“The Book of Mormon”) as Bill Gates, Bryan Fenkart (“Memphis”) as Steve Jobs, Patti Murin (“Lysistrata Jones”) and Lindsay Mendez (“Godspell”). The musical originally premiered at the New York Musical Theater Festival in 2005. Music comes from Hal Goldberg (“The Children”), with book and lyrics from TV’s “Robot Chicken” team Jordan Allen-Dutton and Erik Weiner. Casey Hushion (associate resident director, “Aladdin”) was set to direct. For future information, visit NERDSBroadway.com.